If you’re into your photography, photo-editing or creating graphics then a decent monitor is essential! Trust me! 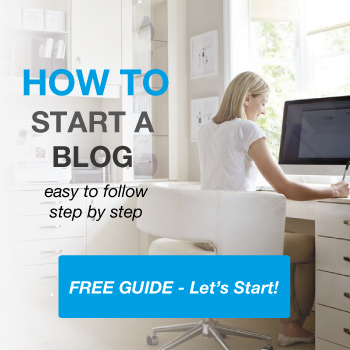 Since starting makeawebsitehub.com, I have created over 80 infographics for the site as well as many images, illustrations and featured images which have mainly been produced from a 15-inch laptop. In the early years, I did the majority of my design work on a very small screen, which was ok for me, but it all changed when I started getting into photography in a big way. I live in what I consider to be the most beautiful part of England ( Cumbria ), which inspired me to take up photography in order to get out of my home office for a few hours and see more of this beautiful countryside. 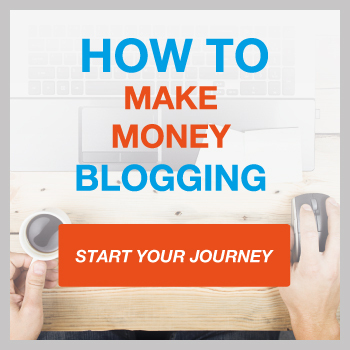 This is what then made me change the way I work forever. I decided that in order to really see what I was creating in the truest possible colors, I needed to invest in a decent monitor that would get the best out of using Photoshop and enable me to edit my photos and imagery properly. As you probably already know, all monitors are not created equal. Not only can the obvious specs such as resolution and refresh rate affect performance from one monitor to another, but even things like how colors are displayed can vary wildly from one monitor to another. 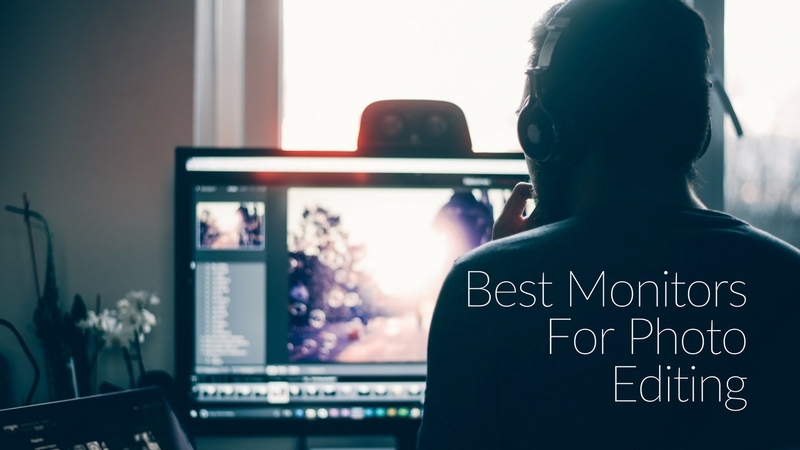 There are a number of things you should have a firm grasp of before trying to decide which monitor is best for photo editing and your specific use case. 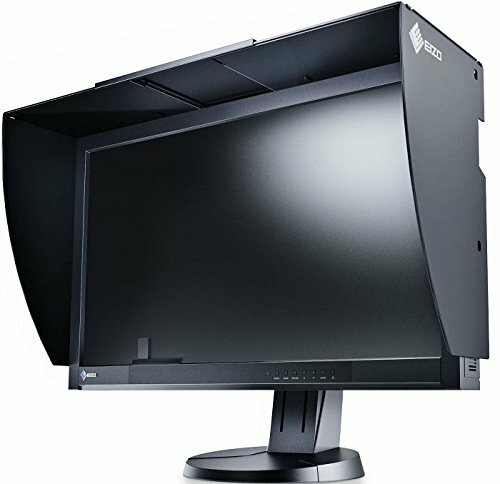 What to Look For In A Monitor Specifically For Photo-editing and Photoshop work. Let’s take a look at the specifics of what you need to look for when buying your monitor for photo editing. Color gamut is the term used to describe how many different colors your monitor can display, and how accurately it can display them. The standard color format that almost all monitors run on is called sRGB, but above that are levels including Adobe RGB and ProPhoto RGB. The color gamut and color accuracy of your monitor are vital for photo editing since a product that looks good on an inaccurate monitor will not look right when exported and displayed on another monitor. The refresh rate is measured in hertz, which is equivalent to the number of frames the monitor can show each second. While having a high refresh rate is not vital for photo editing it can offer a better all-around experience. It is more important if you plan on using the same monitor for photo editing and gaming, as higher refresh rates will offer smoother gameplay and can also often give lower input lag. The importance of resolution is not lost on many since it is often one of the most talked about factors of televisions and monitors on the consumer market. The resolution you need will depend largely on the specific kind of photo editing you do and the size of the images you’re working with. If you’re working with huge images it might be best to get a 4k monitor, but if most of your work deals with smaller images a 1080 or even 1440 monitor might do the trick. First on our roundup of photo editing oriented monitors for under $300 is the BenQ GW2765HT. This is a 27-inch monitor that features an impressive resolution at its price point at 1440p. The IPS display offers good viewing angles that remain true to its 100% sRGB color gamut. The stand is height adjustable and the monitor even has two built-in speakers. 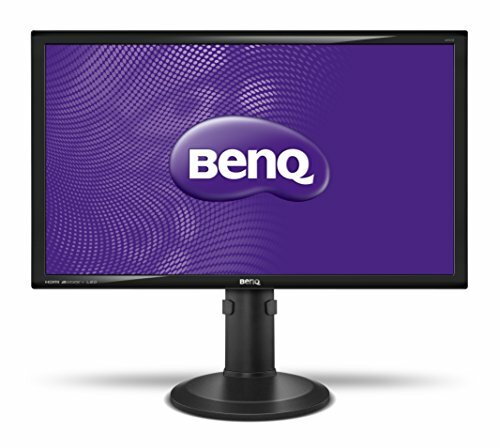 This BenQ monitor also has ZeroFlicker and low blue light technology built in to reduce eye strain. The monitor runs at a pretty run of the mill 60fps at full resolution but can be turned down to 1080p to operate at 75 frames a second. While this may not be fast enough for most gaming it does offer a smooth experience for normal use. Next on our budget list is the ASUS Designo MX279H. This monitor runs at a humble 1080p resolution and features a standard 60hz refresh rate. It comes well equipped in the sound department though, with two built-in three-watt speakers, and two five-watt amplifiers built in as well to power beefier headphone with large drivers. 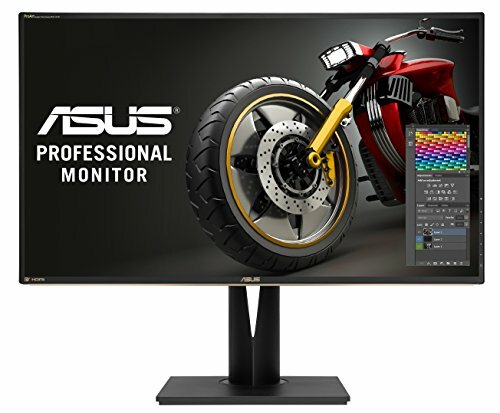 The 27 inches of screen real estate are given eye-popping color with 80,000,000 to 1 ASUS smart contrast ratio and boast a 178-degree viewing angle. The monitor also has support for up to two inputs, one HDMI and one VGA. The last of our under 300 monitors is the Ben Q PD2500Q. 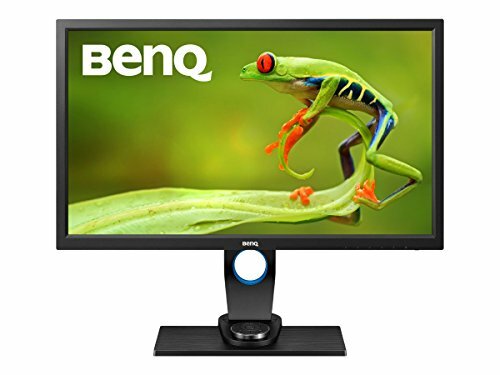 BenQ is a trusted brand that has been making high-quality monitors geared towards professionals for some time, and this monitor is no different. 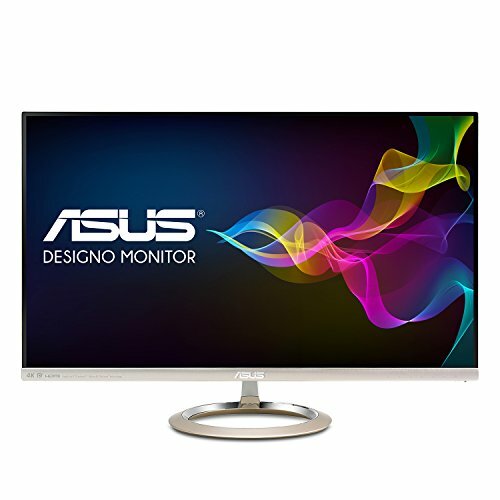 Officially listed as a designer monitor it boasts both %100 sRGB as well as %100 of the Rec. 709 color gamut which is the HD and 4k color palette. In addition, it runs at an impressive 2560 by 1440 resolution allowing you to work on larger images in their native resolution without having to scroll around as much. The monitor runs at a standard 60hz and supports HDMI inputs, DisplayPort, mini DisplayPort, and USB 3.1 allowing you to quickly switch between multiple inputs. The 25-inch monitor comes with a very adjustable and sturdy stand as well, making it a quite robust option at this price point. 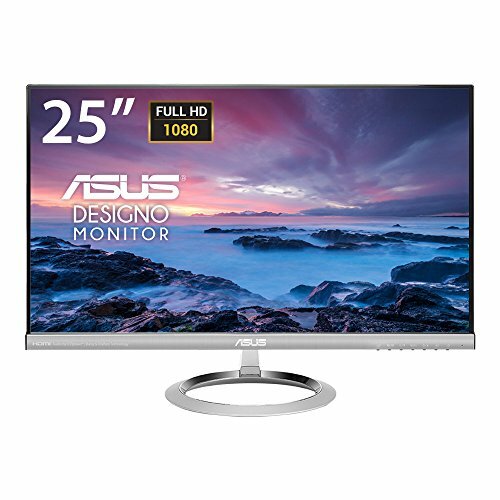 Moving up to the $500 and up price point we encounter our first high refresh rate monitor. 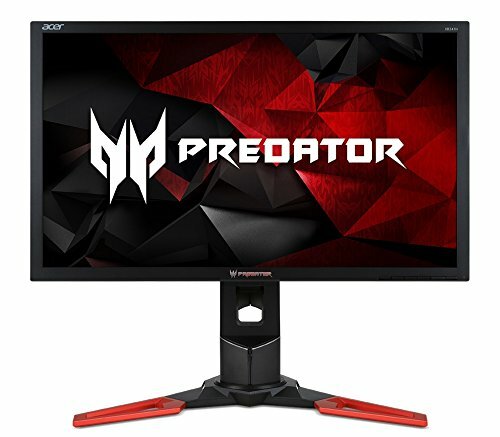 The Acer Predator series is a line of products generally geared towards gamers, and that shows with the features of the XB241H. This monitor runs at the standard high definition resolution of 1920 by 1080 and supports Nvidia G-sync allowing for smoother frame rendering in games. There are two speakers built into the monitor, each running on a meager two watts. Where this 24-inch display really shines is with its impressive 144hz refresh rate that can be overclocked all the way up to 180 frames per second. 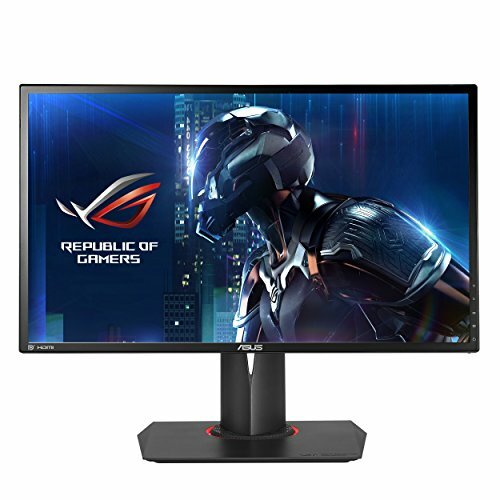 This high refresh rate offers an exceedingly smooth user experience and makes games, editing, or anything that requires the screen to accurately display quickly moving objects to appear extremely smooth and fluid with little or no after image or screen tearing. The high refresh rate also lends this monitor a very low response time of only 1ms. This monitor is not color calibrated, however, making this better for gaming than photo editing. Next up we’re taking a look at another ASUS gaming oriented monitor, this time from the Republic of Gamers, or ROG, line of products. This 24-inch monitor is nearly identical to the Predator monitor we just looked at in almost every way. Both monitors are 24-inches running at standard HD resolution, or 1080p. They both support the Nvidia G-sync feature if your computer is running on a supported graphics card. The differences start to appear when you look at the refresh rate. Both displays have a rock bottom 1ms response time, but the ROG swift runs at a native 180 frames per second, as opposed to the 144hz of the ASUS Predator model. The ergonomic considerations of the ROG Swift are also considerably better than it’s gaming brethren, with a highly adjustable stand, good viewing angles, and features like ASUS eye care to reduce screen flicker. Unfortunately, neither monitor is calibrated for accurate color at the factory and therefore doesn’t support any specific color gamut. The next monitor in our roundup is the Acer XG270HU, a 1440p monitor with a high refresh rate of 144hz. Unlike our previous two displays, Acer prefers to play nice with AMD hardware over Nvidia, supporting the proprietary AMD Free Sync technology, which can adjust the refresh rate of the monitor to perfectly match your GPU operating frequency. This can prevent dropped frames and stuttering during highly GPU demanding rendering or gameplay. This monitor is also larger than the 1080p monitors we looked at to take full advantage of the higher resolution. This particular monitor lacks speakers and factory color calibration, but it boasts three different input formats, HDMI 2.0, DVI, and DisplayPort. The 1440p resolution offers very crisp images and makes working on larger files easier. Moving away from the gaming monitors we return to lower refresh rates but highly calibrated color gamuts. The next monitor on the list is the BenQ SW2700PT, which offers some of the most vibrant and accurate colors of any monitor we’ve looked at so far. This 27-inch monitor boasts an impressive 2k resolution of 2560×1440 and contains some impressive hardware and integrated software that makes this monitor especially ideal for professionals working on photo editing. The display supports 10-bit color, which allows it to capture %100 of the sRGB and Rec. 709 color gamuts as well as %99 of the highly demanding Adobe RGB color gamut. This is further enhanced by the monitor’s 14-bit look-up table, which allows it to reference an even more complex color palette before deciding how to render a specific color. What’s more is that this monitor even comes with hardware calibration, allowing you to recalibrate it’s color when you feel things might not be displaying perfectly. While this monitor does only have a 60hz refresh rate the accurate and robust colors make this a great monitor for photo editing. The ASUS Designo MX27UC features some of the most up to date and diverse input options of any monitor on the market. It can impressively receive both video and audio data, as well as managing power delivery, from a single USB type-C cable. This is great if you have newer android devices as well which also use the type-C connector. Alternatively, you can use a standard power cable alongside one of the multiple USB 3.1 lightning ports, the DisplayPort, or the HDMI port. All this input serves to feed the impressive 4k resolution screen, which is as high of a resolution as you can get these days. The 3840 pixels of width and 2160 of height offer plenty of room on the 27-inch screen to see your photo editing work. The monitor also has two built-in 3-watt speakers and a pair of 3-watt amplifiers for headphones with larger drivers. The first LG monitor in our line up comes in at 27-inches with a crisp 4k display running at the standard 16:9 aspect ratio. This monitor comes calibrated at %99 sRGB color gamut, lending it some level of color trueness when editing photos or video, certainly more than a monitor that isn’t color calibrated at all. The display supports HDR10, a technology that claims to offers better color vibrancy and deeper blacks, but only in supported programs. Again, this monitor boasts rather robust I/O options, with a variety of HDMI ports, USB type-c and 3.1, and DisplayPort. The LG display also works together with AMD graphics cards and drivers to support the AMD Free Sync refresh rate system. It’s also worth noting that while not very adjustable, the stand is subjectively beautiful with a discrete yet clean brushed aluminum look. Moving into the high-end monitors we’ll take a look at the ViewSonic VP2785. 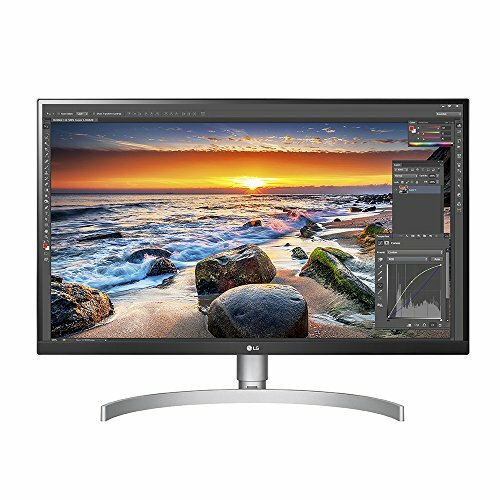 This monitor is the unspoken industry agreed upon 27-inch standard for photo editing and runs at a beautiful 4k resolution. The monitor is factory calibrated to reach %99 of the Adobe RGB color gamut, which offers a wide variety of accurate and vibrant colors. 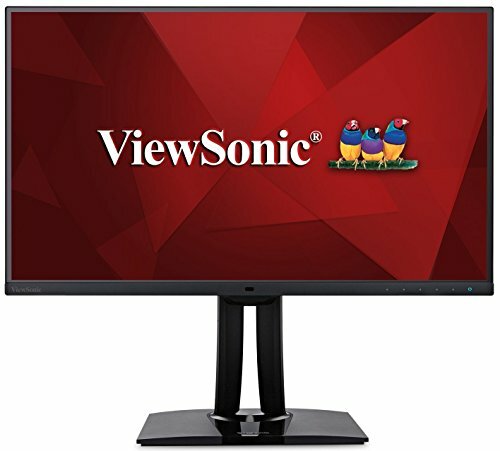 ViewSonic actually claims the monitor boasts a palette of 4.39 trillion colors, which will greatly reduce patchiness in gradients such as the sky during sunset or a wide expanse of water. This display also has a wide variety of input options, which is made even more convenient to truly utilize with the addition of a built-in KVM switch which allows for quickly switching between inputs. The monitor also has a very ergonomic and adjustable stand, along with a built-in ambient light sensor which allows for automatic backlight adjustment which can help reduce eye strain. The next monitor in our lineup is the Eizo CG277-BK, a monitor explicitly designed for professional graphic design and photo editing. While it is at a lower resolution than many of the super premium monitors out there at a humble 2560×1440, it does boast some interesting features. The monitor ships out with factory calibration able to display %99 of the Adobe RGB color gamut, but also includes an internal sensor that allows for perpetual color calibration to keep the display true to color. The monitor also boasts an impressive brightness at 300cd/m2 which allows it to display more vibrant colors. The monitor also has an impeccably sensitive 1000:1 contrast ratio. The monitor even comes with a shading hood to block out light while you’re working. The ASUS PA329Q is the largest monitor in our roundup, coming in at an impressive 32-inches. The large display pushes 4k resolution at a swift 76 frames per second. The significantly increased screen real estate is ideal for photo editors who often have to work on very large images, or those who design images that are intended to be blown up onto a poster or billboard. The UHD monitor is color calibrated to %100 Rec. 709 and an incredible %99.5 of the Adobe RGB color gamut. The monitor also supports the even more demanding DIC-P3 and Rec. 2020 color gamuts, which is great for photo editors with clients who have specific requirements regarding color compatibility. 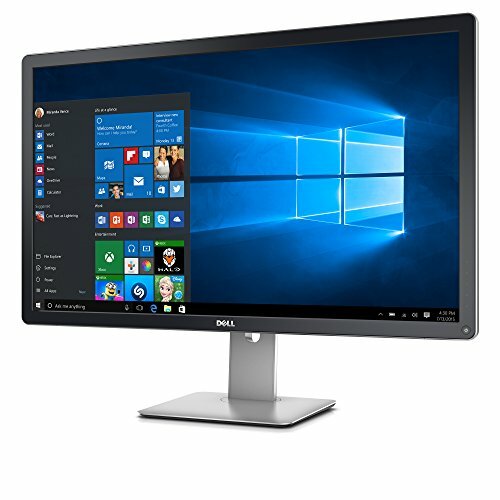 The last monitor we’re taking a look at is the Dell UP3216Q, which features PremierColor, a proprietary dell function that allows for more accurate calibration into multiple color spaces. 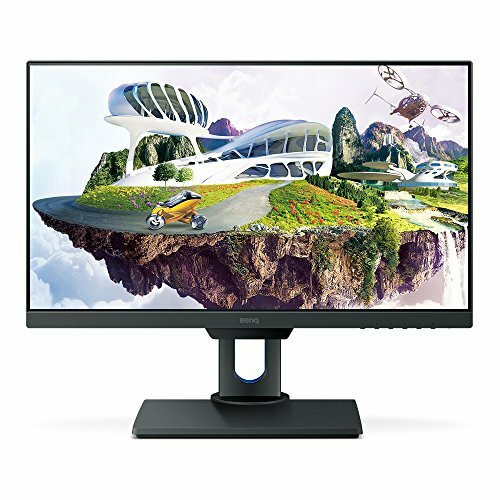 This monitor boasts %100 sRGB and Rec. 709 color gamut, as well as %99.5 of the Adobe RGB and %87 of the DCI-P3 color gamuts. The 31.5-inch screen runs at 4k quite well and is impressively bright which allows for more accurate and vibrant color. The extremely accurate color makes this a great display for working on photo editing projects, but the stand lacks a lot of adjustment making it important to make sure you have an appropriate desk.